Or have you ever dreamed of finding one? Or maybe, you don’t even know what a Golden Goose is? There is a story or fairytale of the farmer that found a goose. It laid a golden egg, every day. It brought him and his family, over time, great wealth. Very sadly, the story ends with a warning as he, or was it his wife, or maybe it was the mother-in-law, got greedy and wanted all the wealth at once, so they killed the golden goose to extract the gold. They couldn’t find any inside, and so were left with nothing. For me, the Golden Goose is the route to the Holy Grail of financial freedom, and thus eventually, financial abundance. 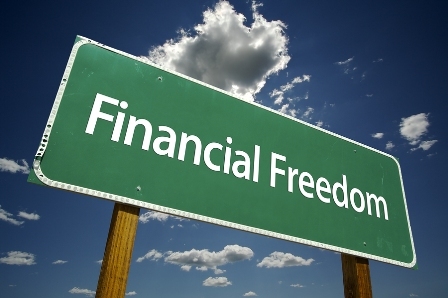 Even more important for me is time and choice freedom—which financial freedom brings. That freedom is the knowing that all bills and expenses are covered each month before going to work, or play, with an ongoing, regular, and secure stream of income. After some years of working towards this as a dream and goal, I have achieved it. It’s not great wealth or huge abundance yet, though for me, that freedom of choice and security is great wealth and abundance. This also brings the knowledge that even more wealth will follow. It’s a sad fact that most people are living in a situation where, if they were unable to work, or lost their job, they would lose their homes and livelihoods within months or at best, have to survive on the minimal and rapidly decreasing government subsistence. How long would it be for you, if your work suddenly dried up or you were made redundant or hospitalised? Do you have a plan in place or sufficient income for the lifestyle you’d expect upon retirement—or are you planning on working until you fall into an early grave? How does the alternative of finding your Golden Goose feel now? Could it be worth the hunt and effort? There are many potential routes to that financial freedom and entire books written on the subject. These are well worth investigating; in the meantime, I will share a few ideas to get you started, along with some things that have worked for me. One of the biggest lessons is to make a start and accumulate some extra money to invest, or even get out of crippling debts. To do this, you need to cut unnecessary expenses. It is a strange paradigm that most people, no matter what their incomes, spend all of that money every month. Lots of people also spend even more than their incomes. It takes accessing what is really needed and looking for ways to cut the extra fat so it can be turned into golden eggs—wise investments—for the future. It’s amazing that even saving one pound or dollar a day, is seven in a week, thirty in a month, and 365 in a year. Many of us could quite easily claw back from the fat, far more than just one pound or a dollar a day. Wise investments, compounded over time, can produce great flows of wealth. This can especially work well for those who are wise enough to adopt this strategy at an early age. For those of you who can’t find or don’t have that extra money, there is another magic ingredient that can be invested. Your time! Can you trim the fat out of that, or more wisely invest parts of it, to turn it into a Golden Egg producing asset? Many people say they just don’t have time. Are you one? Actually, time usage is all about priorities and values. We all have the same amount of time each day. Some people have just discovered how to value and leverage their time to greater effect. In that process, they have discovered many ways to create wealth. 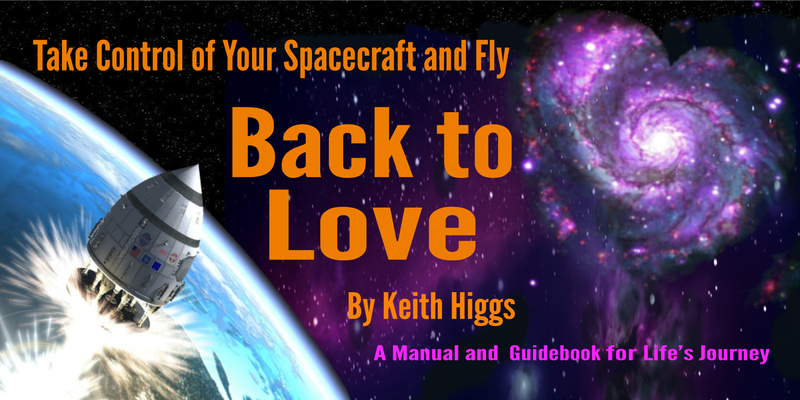 Most people are stuck in the commonly taught and programmed routine of exchanging basic time for basic money. Again, for many people, that is very basic money or just subsistence. Even people, who have figured out how to create more value and thus more money for their time, are still stuck just exchanging time for money. If that time was interrupted, they too would be unstuck—that is, if anything happened to their ability to provide their time. There is a better way! Though most haven’t considered or been prepared to make the adjustments and efforts needed to realise it. How about exchanging a little regular time to create your golden goose? It’s amazing how many solutions can be discovered and applied when deciding to do this. There are some great MLM or network marketing opportunities available where investing time can create leverage. 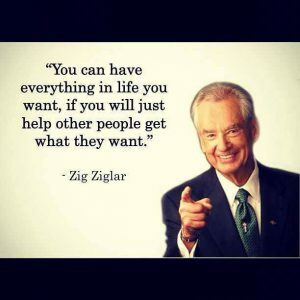 This works by helping others to also succeed and create a true residual income. Beware though and make wise choices, as some, in seeking to jump on the bandwagon, over promise and under deliver. Some too, with flawed plans and poor compensation packages, soon fail. 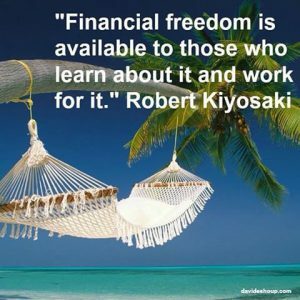 Fortunately, I was led to a great one that has brought me—along with other actions and learning’s over time—to the excellent position of financial freedom. There are many great and excellent companies to choose from worldwide. With some research, personal growth and effort, if this is the direction that is right for you, I am sure you could find something that can work, if you are prepared to work at it! Or maybe you could write a best-selling book, or pop song, improve or invest in property, add value to some items and sell them, or share your knowledge through membership sites or manuals, etc. From an ethical point, beware of schemes that don’t add value and just seem to be created to take from others. Some trading or currency schemes seem to be just about scooping money out of the markets without giving any value—many are extremely risky, and cannot be sustained—especially when all personal gains are at the result of the expense and losses of others. In all your endeavours, remember the Golden Rule. Whatever you do, do it in Love and with consideration for others—Win-Win! Then the Dream and Goal, the Holy Grail of Financial Freedom, will be on its way. You will find it is worth all the growth, labour and testing you will experience en route to that achievement. There are many Golden Geese out there, available for anyone who is sincerely seeking in honesty and integrity. I wish you the best in finding yours. Advantages: It’s a highly recommended, British FTSE250 PLC. There is no stock to carry or billing to do. It is offering services that everyone uses, so doesn’t need a product to be sold every month by you or your team, for you to get paid, an on-going residual income.